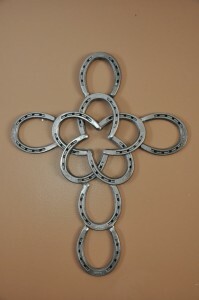 The benefit of being laid off from my day job is that I have been spending more time in my shop. I have a half dozen or so unfinished projects that I am working my way back too. 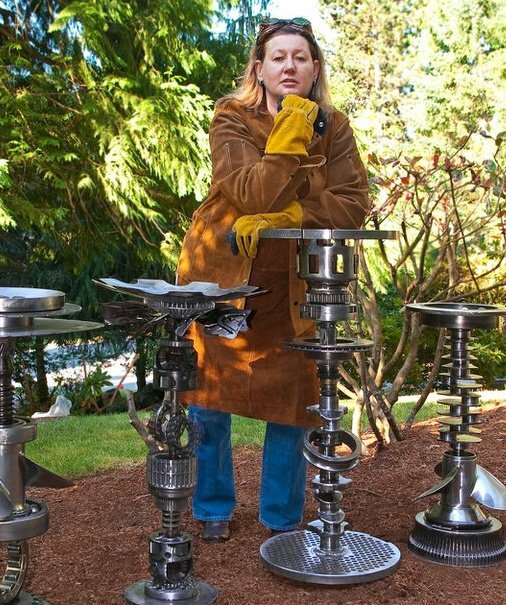 While working on large projects I often work on a small project so that I can enjoy the feeling of completing something! 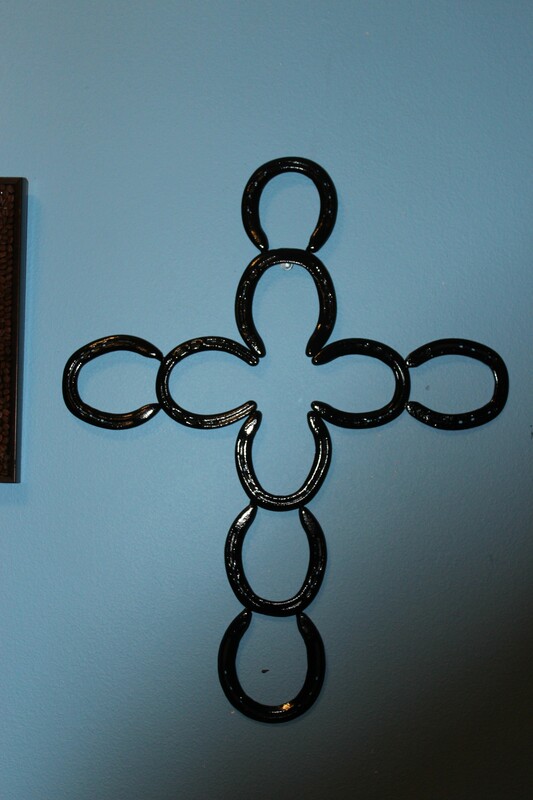 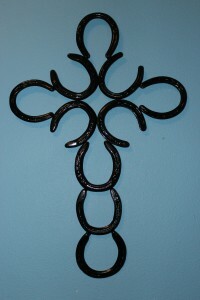 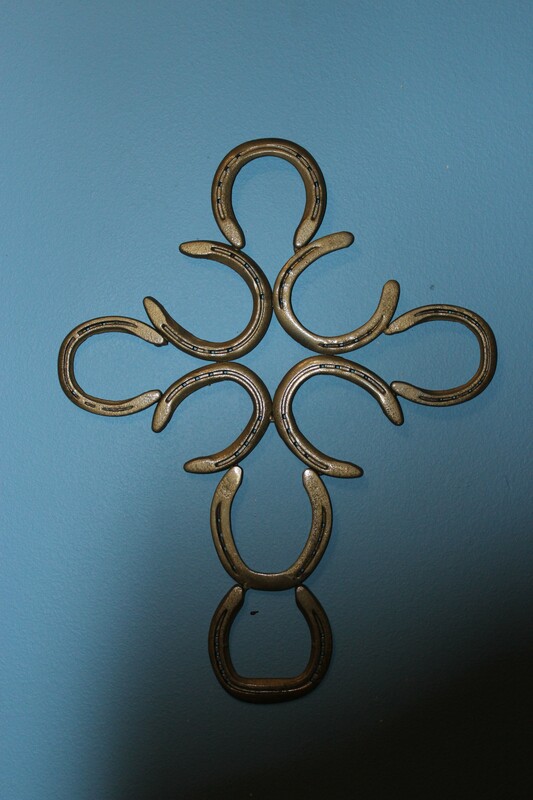 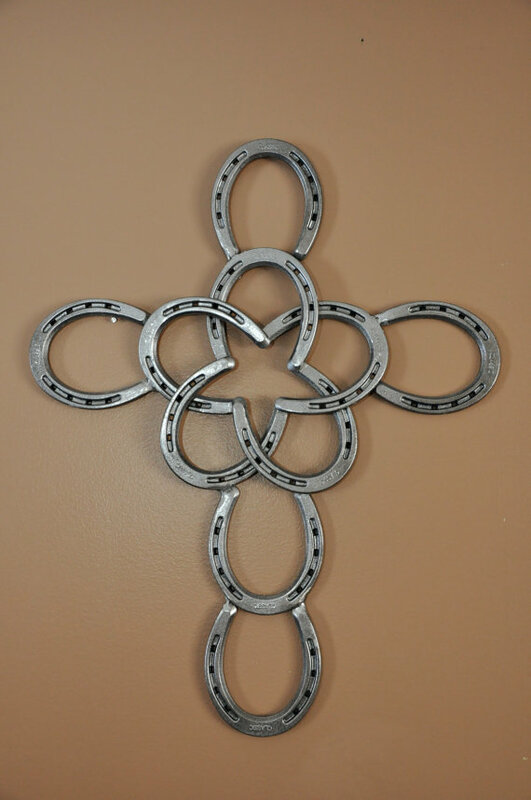 Crosses range in price from $200-$80 depending on size and design. 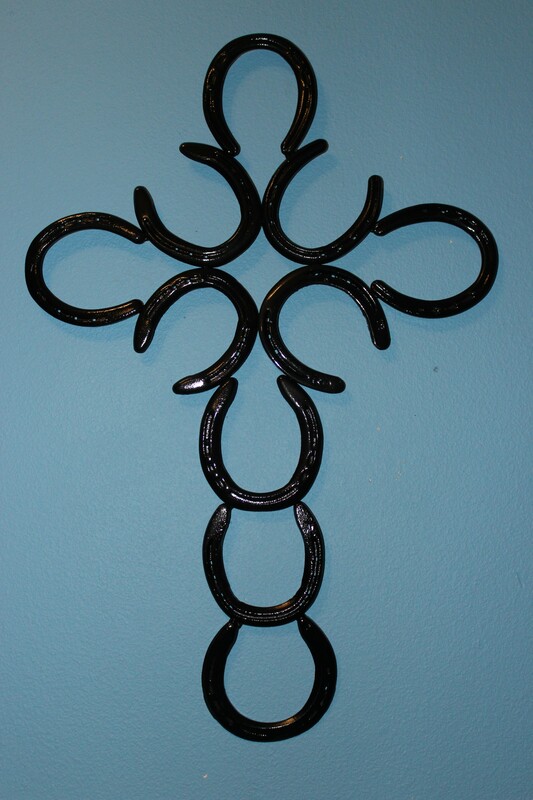 Small crosses are approximately 25 x 21 inches and larger crosses are approximately 30 x 21 these are fine for indoor or outdoor art. 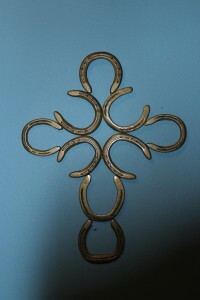 Stay tuned for more of my fun with horseshoe series!